The hundreds of miles of barrier islands known as the Outer Banks are a serious destination for wind sports like kite-surfing and hang-gliding. There are also six wind turbines along the islands, and the first in the state was erected in Jockey’s Ridge State Park to power the Visitor Center. On any given day, even the hot summer ones, you’ll find crowds here taking advantage of the tallest dunes on the East Coast. People come to hike the trails, fly kites, and at least watch the hang-gliding lessons if they’re not up in the air themselves. Entrance to the park is located off Highway 158, which, along with Highway 12, are the only routes on and off the island. Since this narrow strip of land is surrounded by beaches, you can take your pick of any of the public access paths to get to the ocean. Unlike many other places in the state, these beaches allow dogs, bonfires, and 4×4 vehicles. Of course, the many seafood restaurants, lighthouses, and fishing piers are worth a stop, too. Nearly 20 years ago, artist David Ellis and two dozen of his friends descended on his tiny hometown in central North Carolina to paint barns, shacks, and farming equipment. They came to be called the “Barnstormers,” and the project eventually turned the town into a destination. Over the years, some of the pieces were disassembled for use in a museum exhibit in nearby Winston-Salem, but for the most part they remain as they were first painted. Now that the barns have gained such popularity, shops in town give out free maps detailing their locations for curious visitors. Luckily for outsiders, Cameron only has a population of about 300 people, so the tour is a short drive on rural backroads, giving you the chance to take your time, stopping as you like to walk around and among these unique art installations. If your only association with carnivorous plants is Audrey II from Little Shop of Horrors, this garden should be an interesting stop. It began as the personal project of local horticulturist and “flytrap man” Stanley Rehder who spent nearly two decades transplanting carnivorous plants to a boggy area behind an elementary school. Quirks aside, this was an important and valuable effort as there are six species native only to North Carolina within a 75-mile radius of Wilmington, one of them being the infamous Venus flytrap (Dionaea muscipula). Today, the garden is an official conservation site that’s been deemed federally protected wetlands. You can take in the strange plants from afar via a short trail to platformed viewing areas overlooking the habitat, or walk on wooded trails among the long-leaf pines, flytraps, and pitcher plants. The park is open daily during daylight hours and offers guided tours on Saturdays. However, if you want to get the most out of the park, plan your visit during the annual Flytrap Frolic — a free educational event hosted by the NC Coastal Land Trust. Most visitors to North Carolina don’t realize there are over 300 waterfalls in the western part of the state alone. The name of this one in particular may not ring a bell, but you might recognize it from the final scenes of The Last of the Mohicans. It’s over 400 feet high, and a short trail (less than a mile) will get you to the foot of the falls once you’re inside the park. Nearby are a few other natural wonders, like the Opera Box and Exclamation Point, as well as campgrounds along Lake Lure. There are several different ways to get to Chimney Rock State Park, but the most scenic is Highway 64. This stretch of road runs the length of the state, from mountains to ocean, and is well worth a road trip all its own if you have the time. 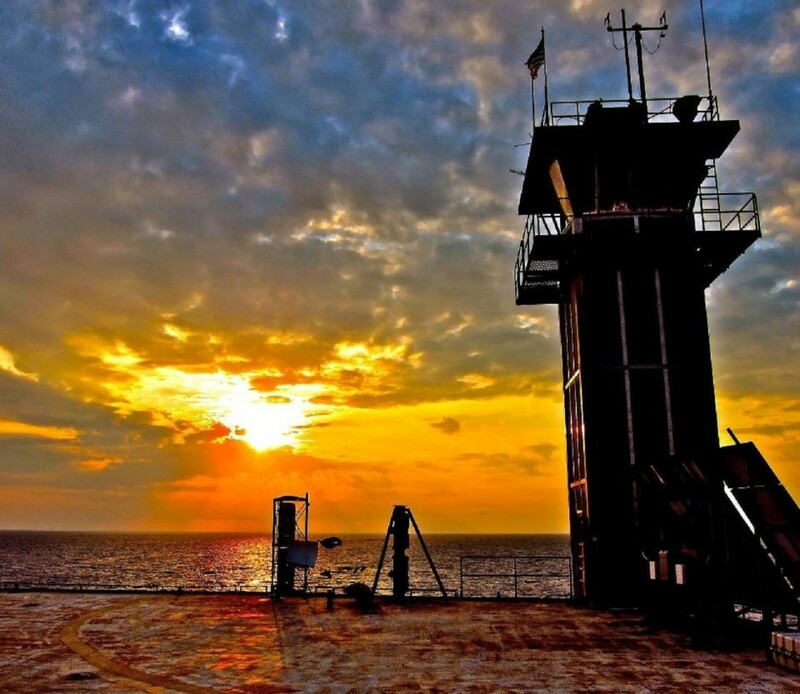 Built in the ’60s, this tower was originally a Coast Guard light station tasked with alerting passing ships to the dangerously shallow waters surrounding it. Six years ago it was sold at a government auction and bought by a Charlotte-based engineer. It now operates as a B&B for adventurous guests interested in fishing, diving, and sleeping in accommodations that can only be accessed by helicopter — Southport airport is the quickest — or boat. The view off its 80×80 deck is said to be spectacular, and there’s wifi, a full kitchen, and even a pool table. Alternatively, you can live here for a highly reduced rate as a volunteer during frequent work trips to restore and renovate the place. There are several islands along the Outer Banks inhabited by wild horses, the descendants of mustangs thought to have swum ashore from sinking ships during early explorations. It’s just a theory but, given the fact that thousands of ships have met their demise off North Carolina’s coast, an entirely plausible one. You can see the horses from ferries that operate along Cape Lookout National Seashore, but it’s also possible to kayak out and camp overnight. The paddle from Beaufort or Harkers Island across the Straits takes a few hours and is best enjoyed in spring or autumn. Once ashore, you plop your tent down on the sand and do as you please. You can take much needed “pit stops” at the ferry center on the island, but you’ll need to bring all of your own water and food with you — this is primitive beach camping at its finest (though Long Point and Great Island do offer basic cabins). And while the horses will likely just stand and stare at you while they graze, it’s an amazing feeling to watch them from yards away. Located downtown behind the historic Grove Arcade, this “museum” charges a flat admission price ($13 for adults, $10 for 10 and under) to play over 30 different games for as long as you please. Informative placards are placed at some of the machines offering details on their history and design, and several are for sale, so the inventory often rotates. While kids do make up a big part of the crowd, it’s really the adults who seem to have the best time, reliving their childhood and enjoying the selection of beers at the bar. If you can stop playing pinball long enough to explore the back rooms, you’ll find vintage Atari and Nintendo games. Just remember to wear a watch — it’s all too easy to lose track of time reminiscing over Super Mario Brothers and Ms. Pac-Man. Sitting on a peak of the Blue Ridge Mountains, close to the Tennessee state line, this place is probably one of the oddest travel attractions in the state. Once a thriving amusement park built to complement Beech Mountain Ski Resort, it’s now a helter-skelter, Oz-themed array called Emerald Mountain. 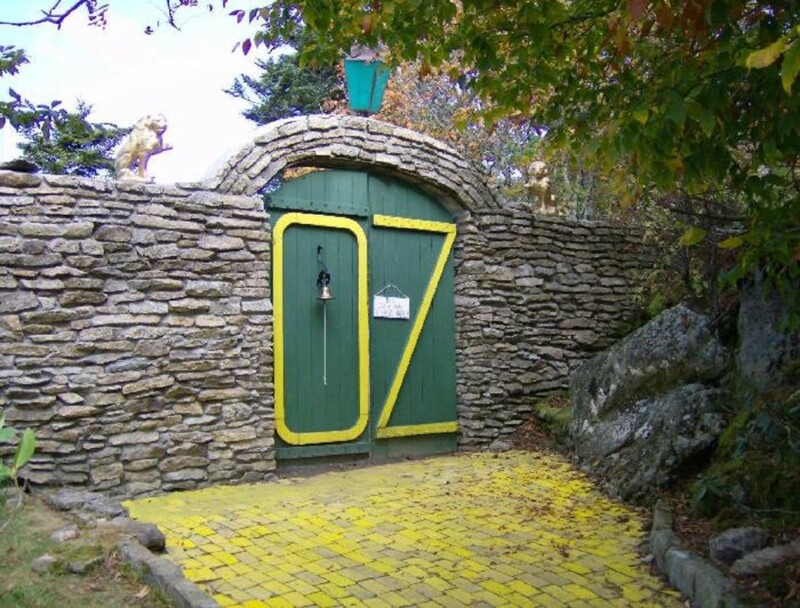 The community is working to restore it by offering rental cottages (one of which is Dorothy’s house) and throwing an annual Autumn at Oz party for curious visitors and dedicated Ozzians.